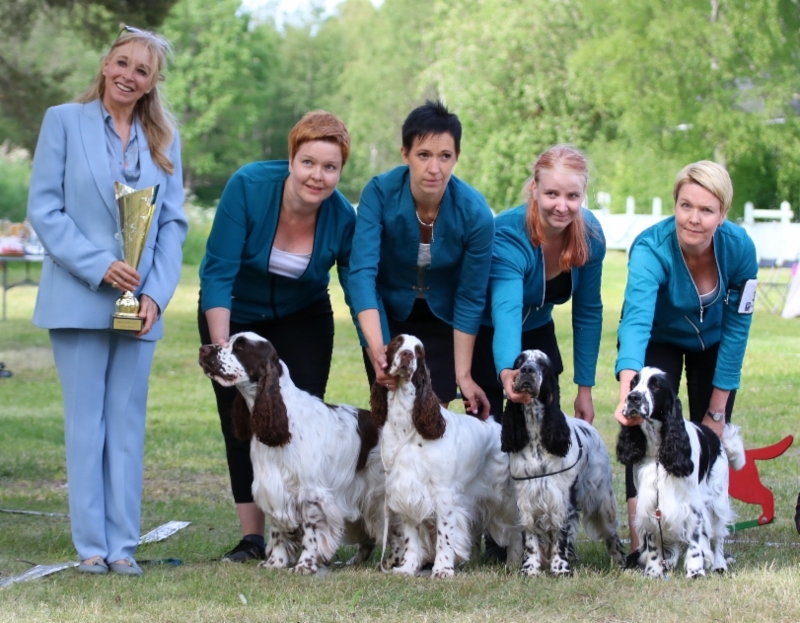 Essi synnytti 27.8 kauniin ja tasaisen pentueen jossa on 4 urosta ja 4 narttua. 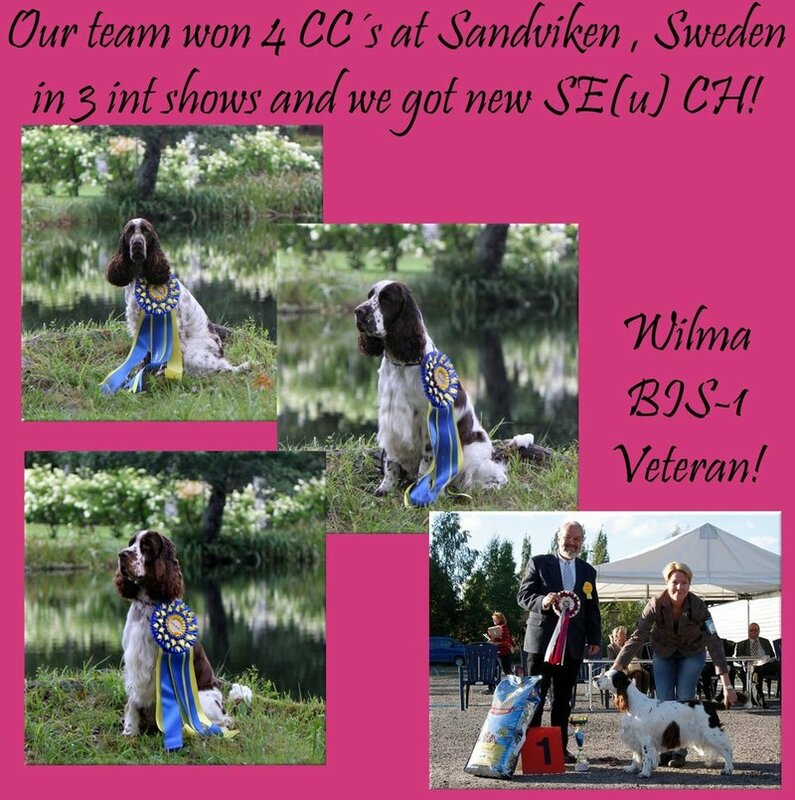 Essi is in whelp! 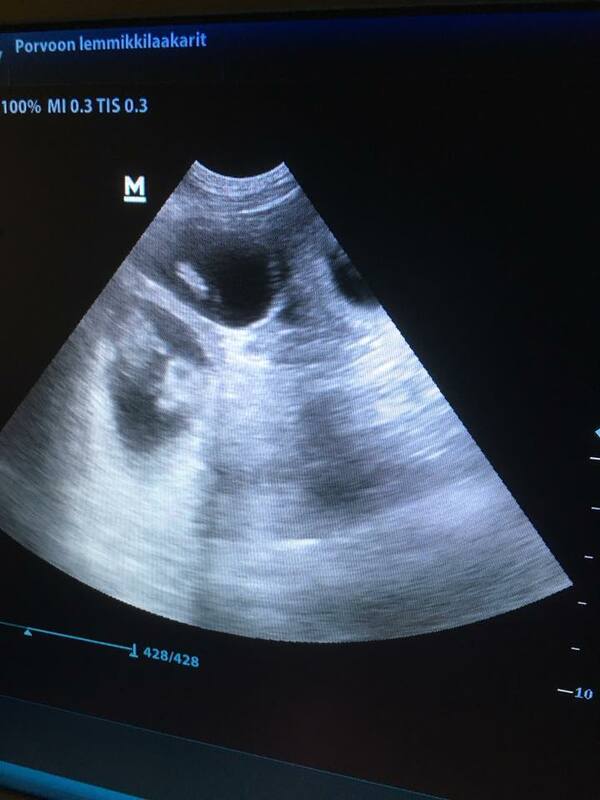 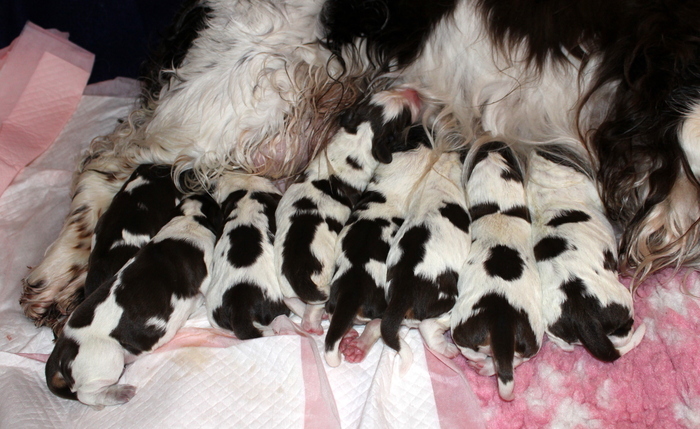 Puppies expected in the beginning of september. 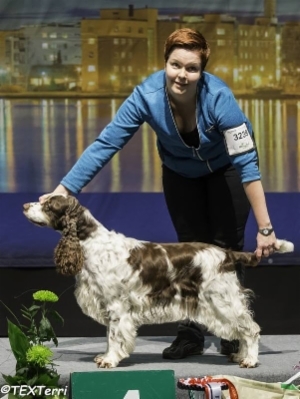 Kaikille pennuille on löytynyt kodit. 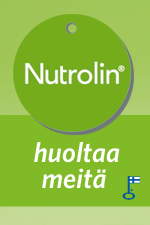 Seuraava pentue suunnitteilla Essille alkusyksystä. 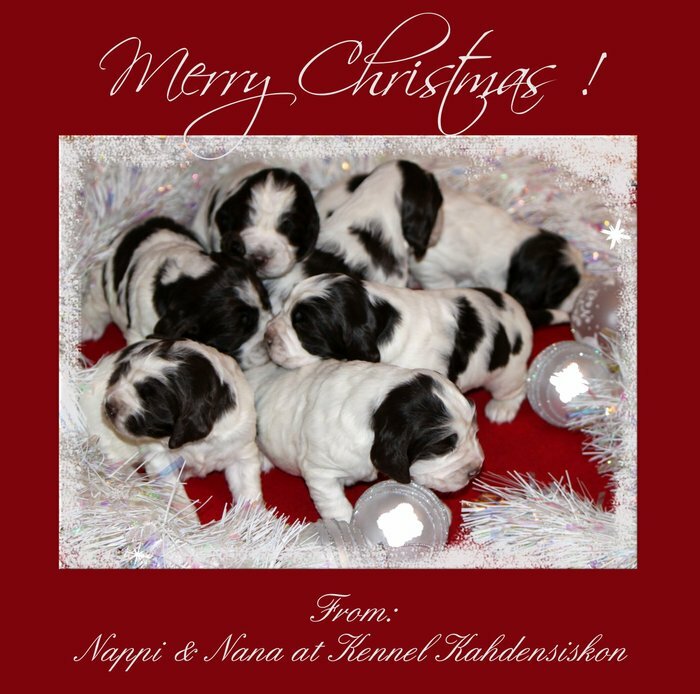 Updates : 23.12 : Merry Christmas! 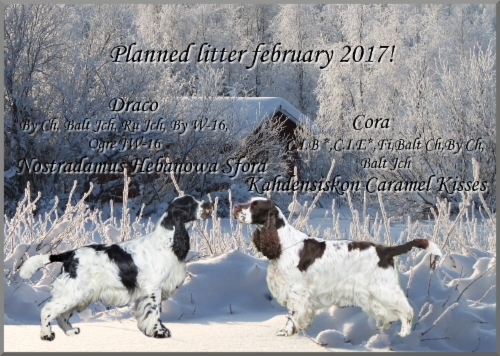 3 urosta ja 7 narttua! 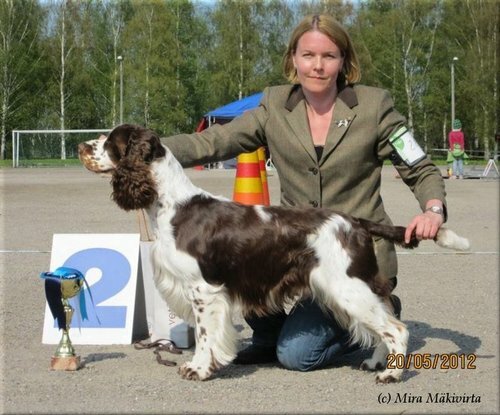 Otamme varauksia vastaan ja etsimme myös sijoituskotia narttupennulle. 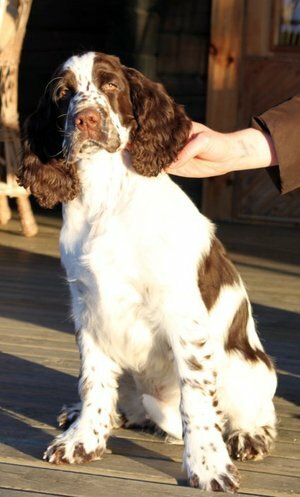 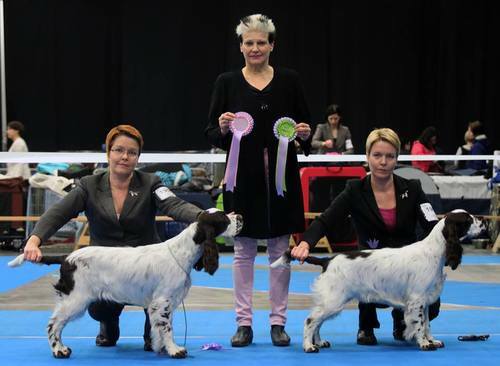 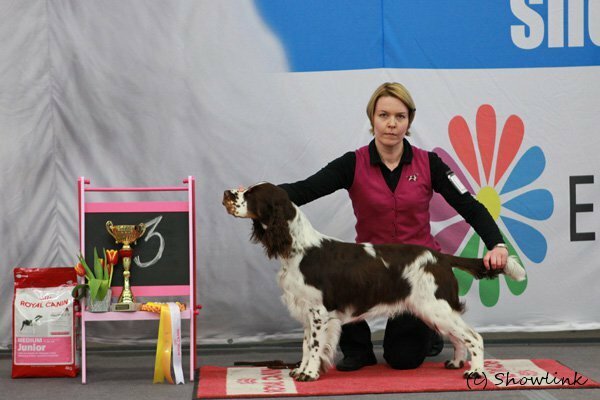 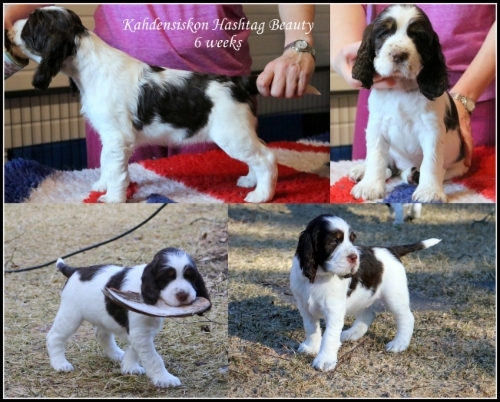 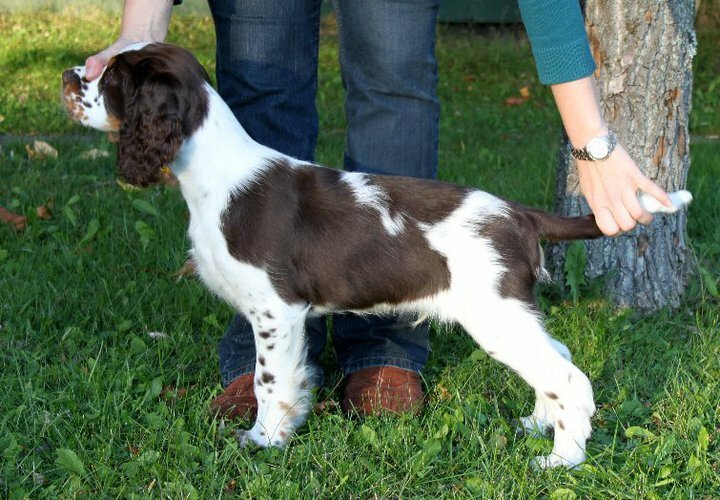 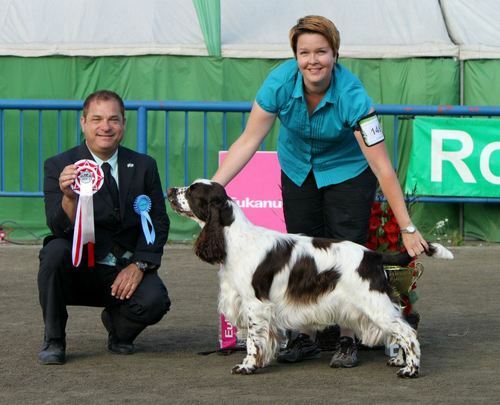 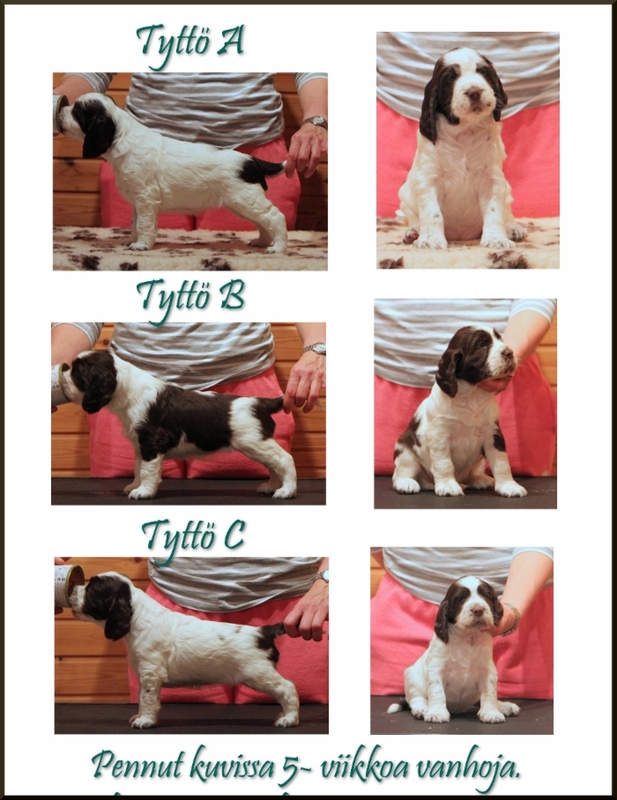 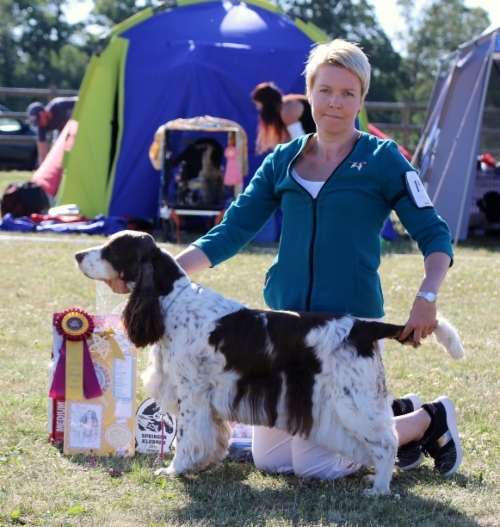 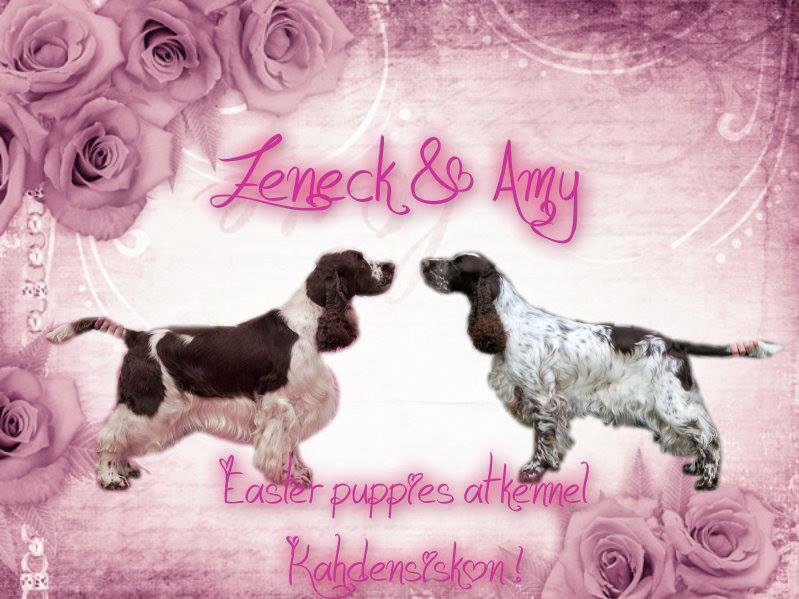 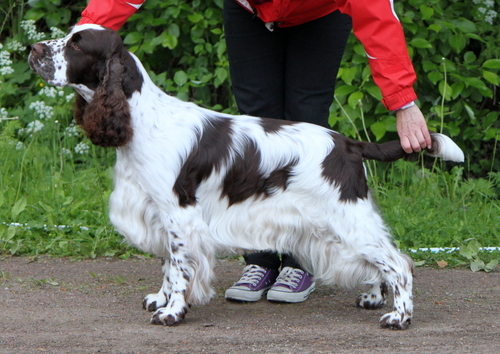 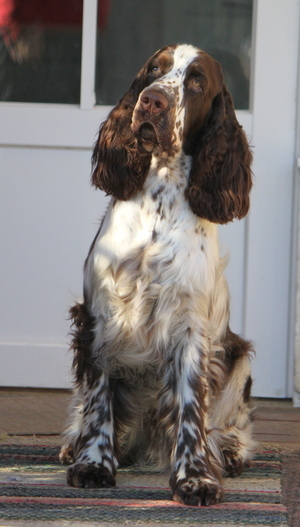 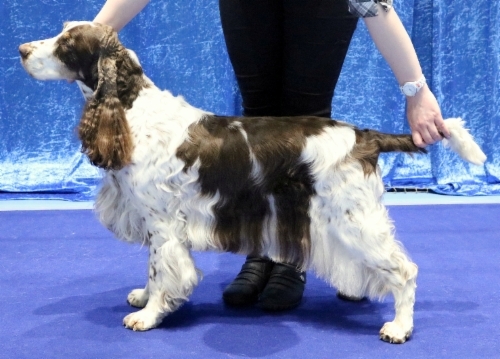 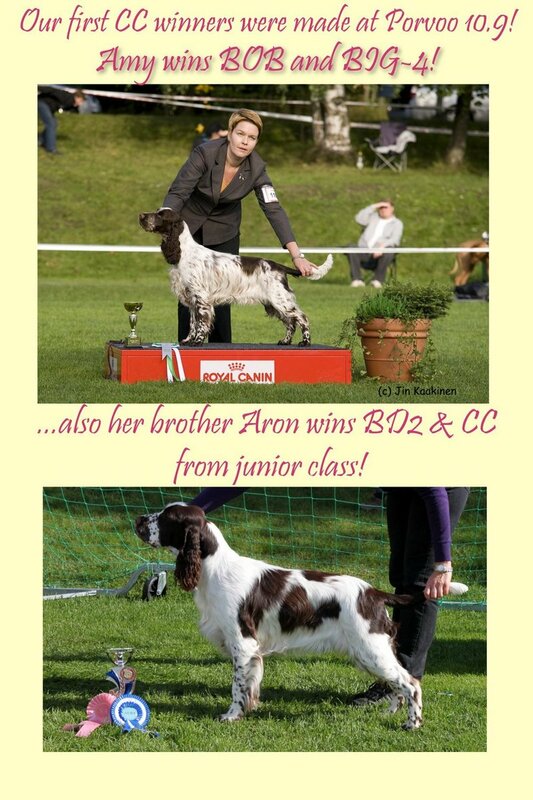 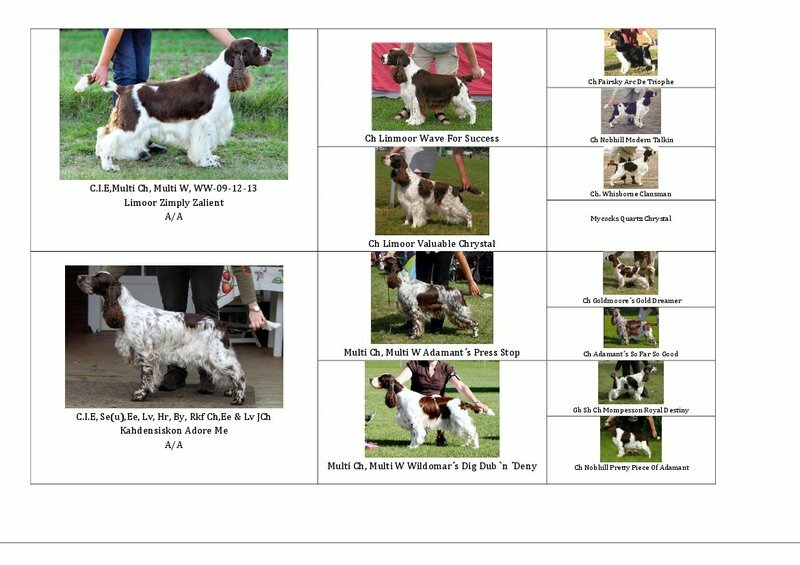 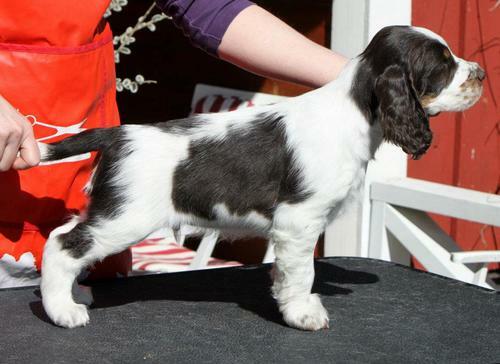 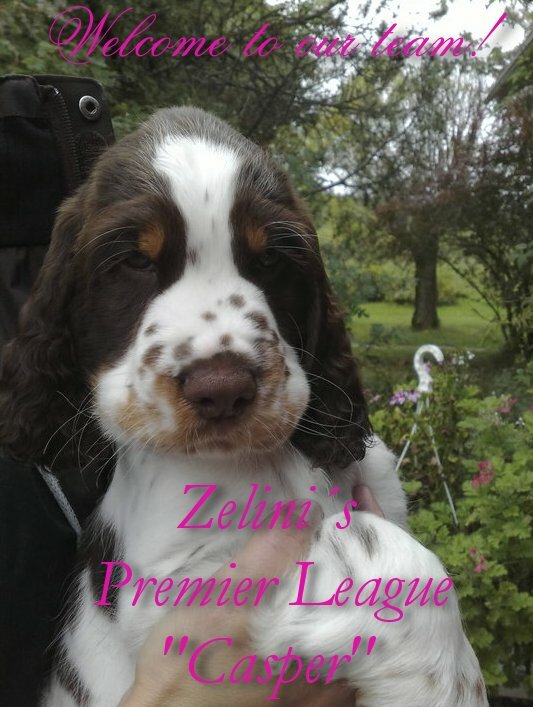 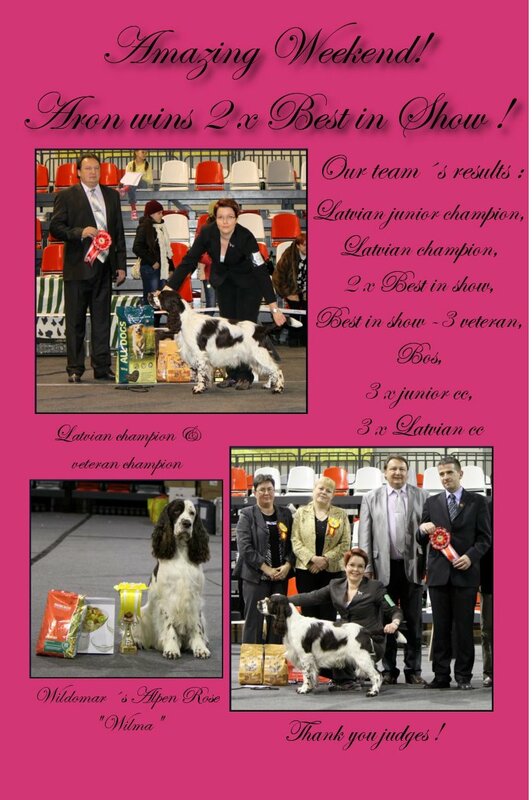 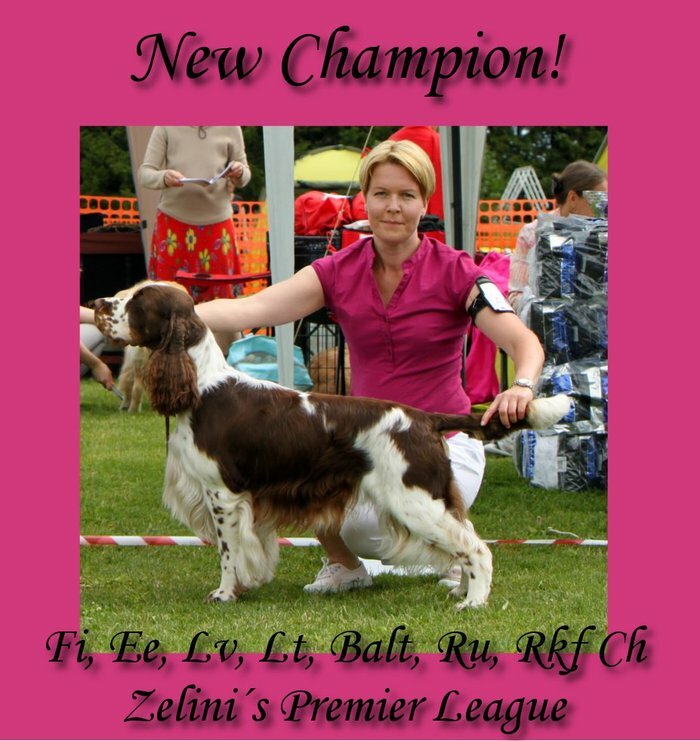 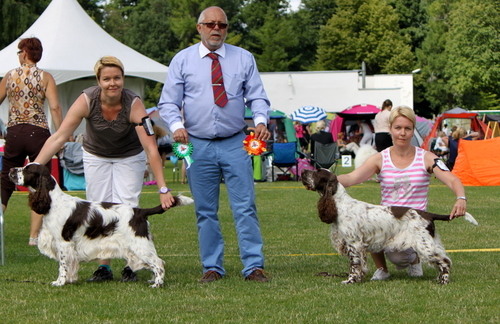 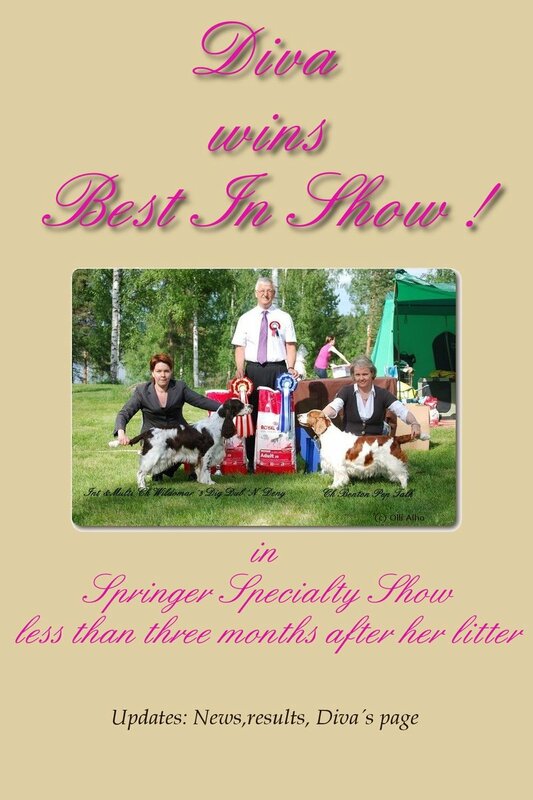 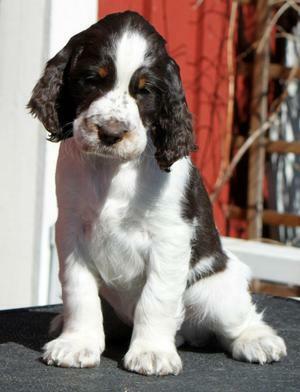 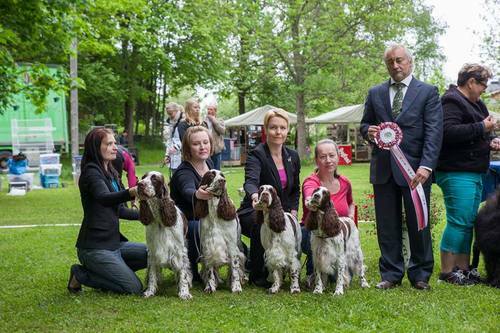 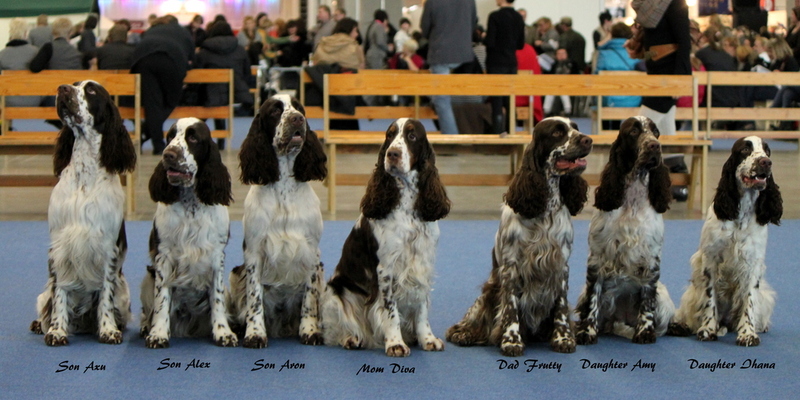 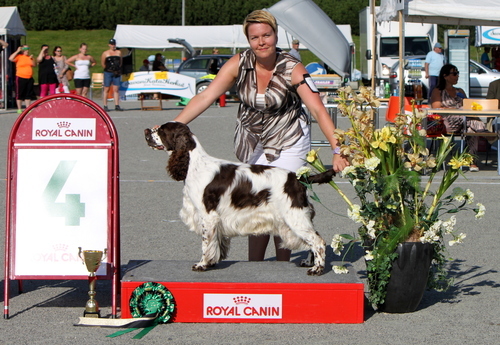 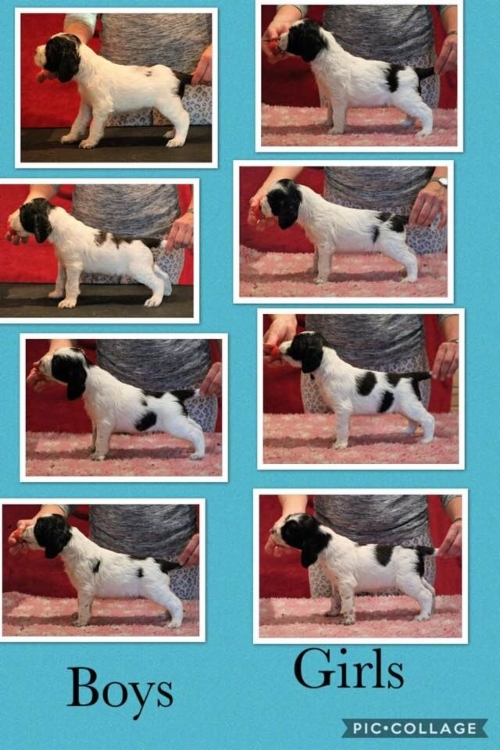 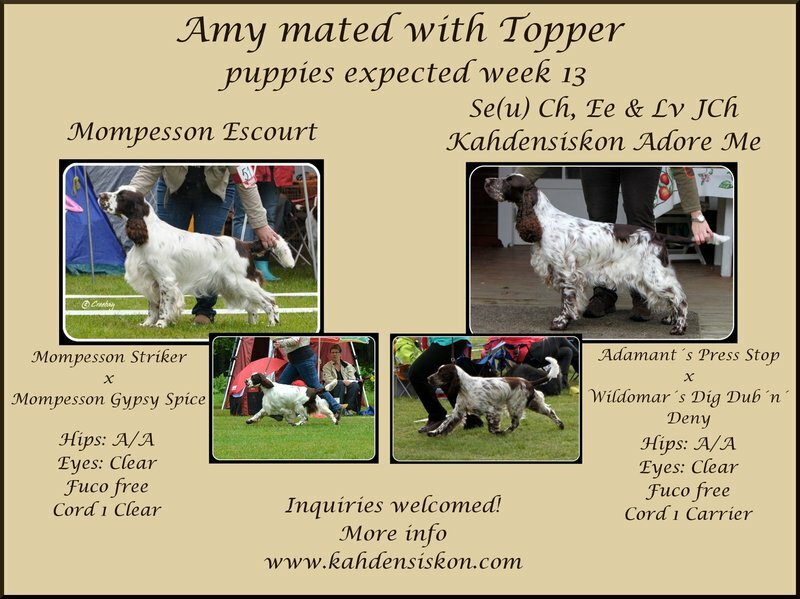 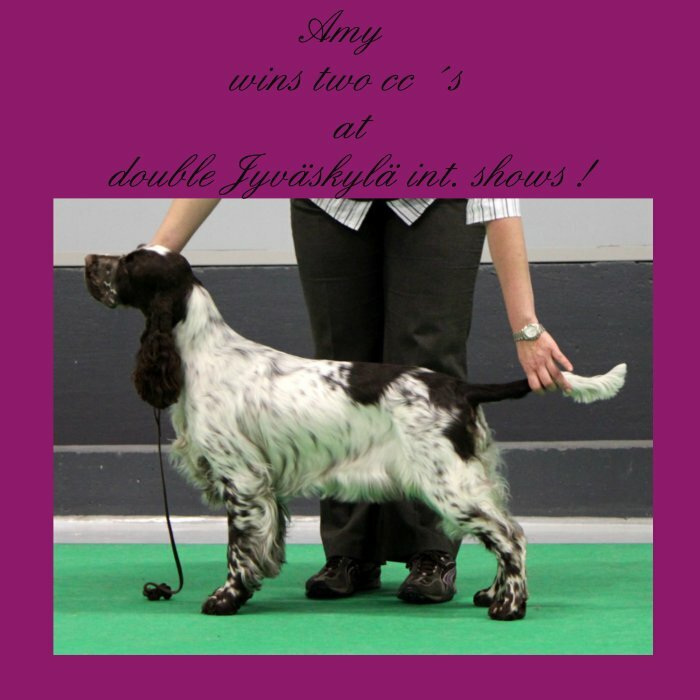 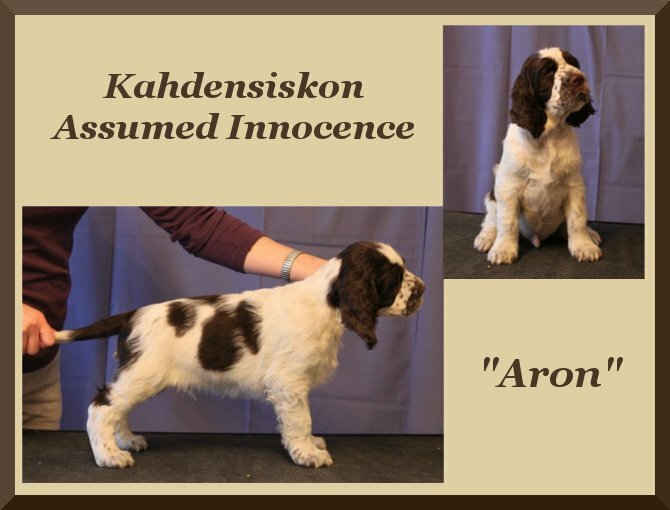 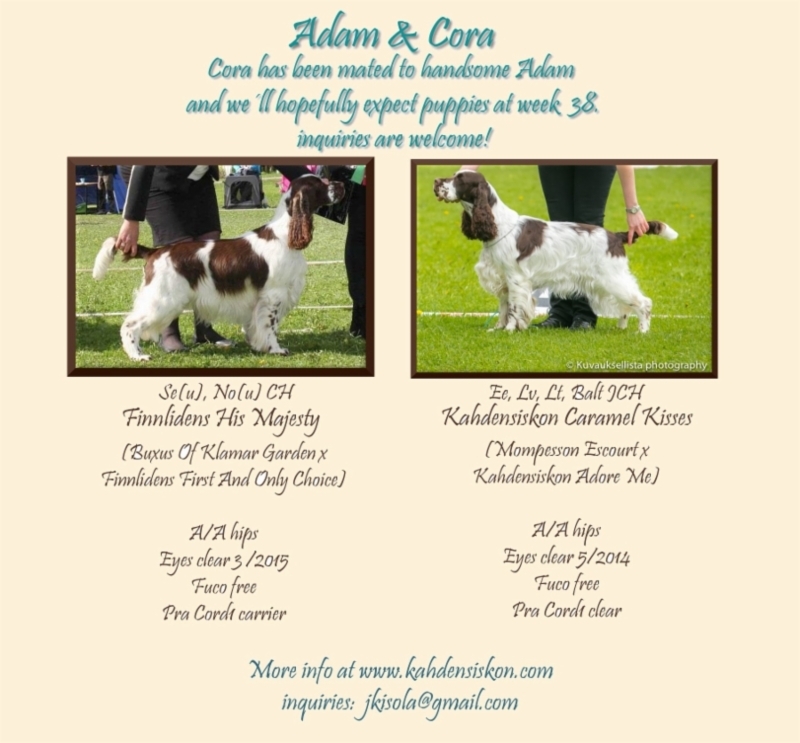 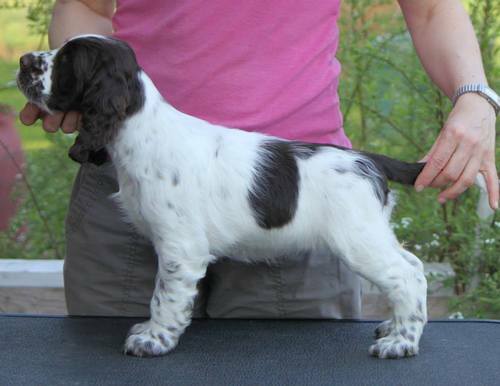 Amy´s Progeny group Best In Show at Spaniel Main Specialty show! 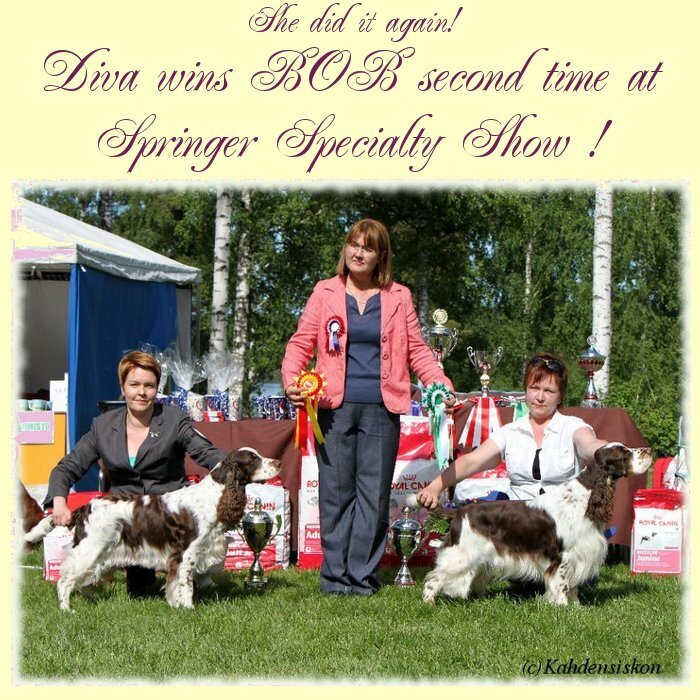 DIVA BIS 1 VETERAN AT SWEDISH SPRINGERCLUB´S CLUB SHOW! 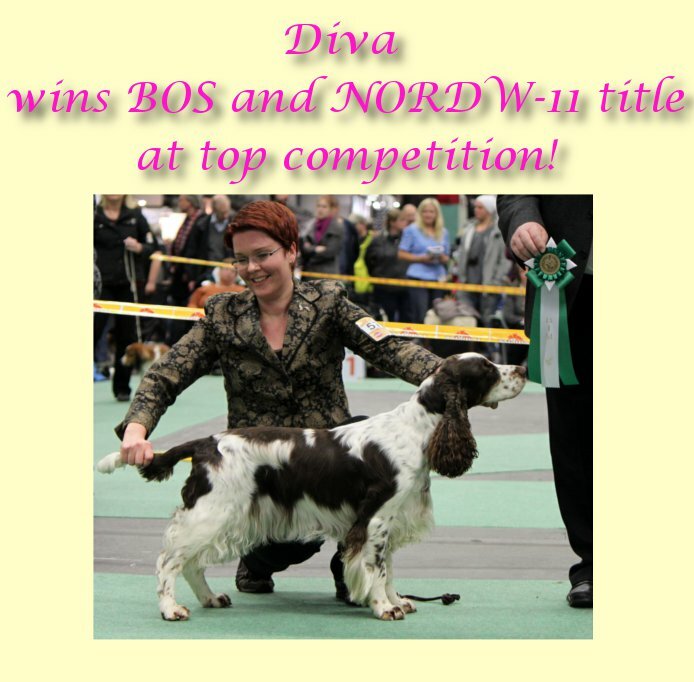 Diva ESS Veteran Of The Year 2016 , third time in a row! 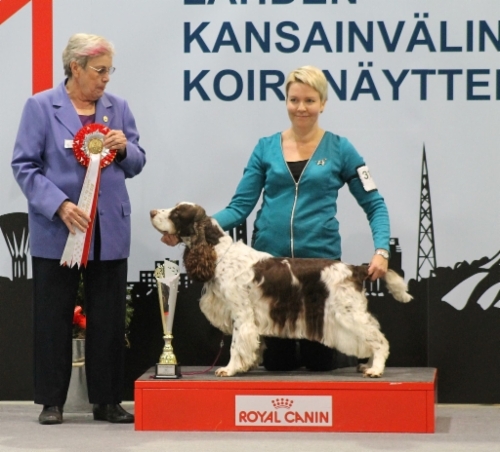 Also she won Finnish Veteran Winner-16 title. 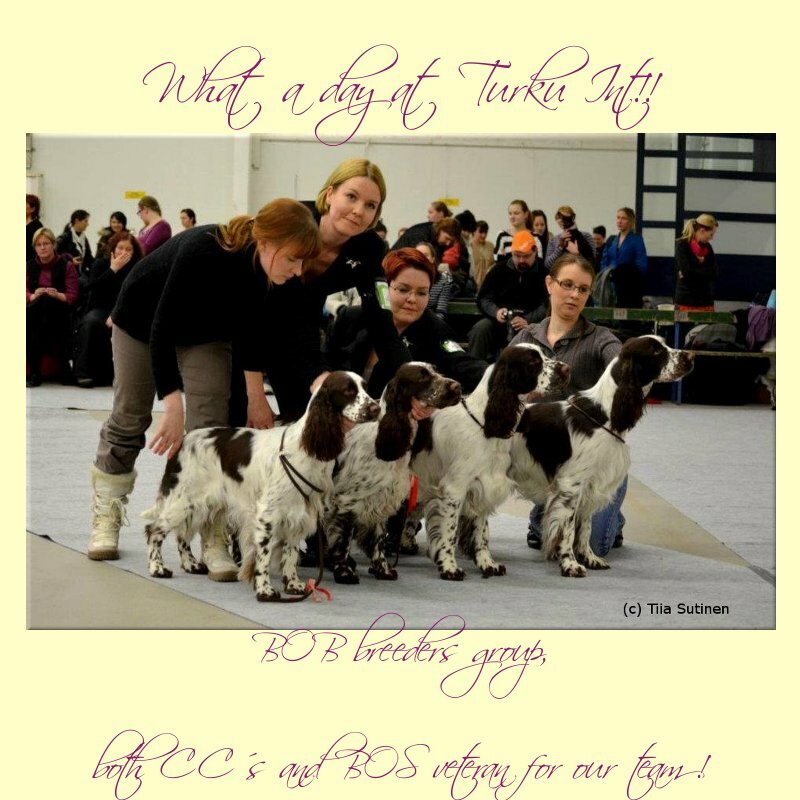 at Lahti International Show 30.10.2016. 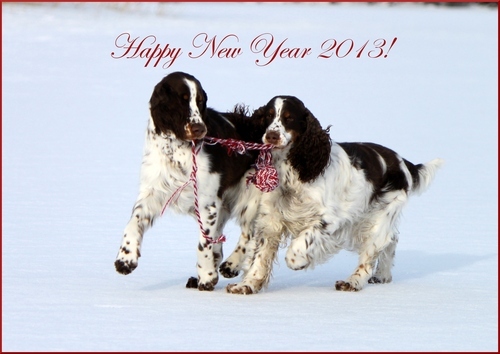 Total number of dogs almost 4000! 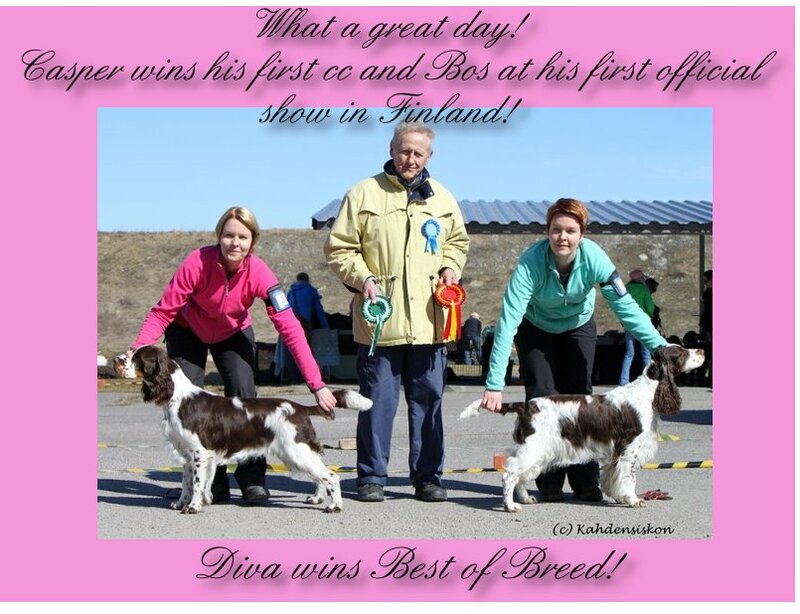 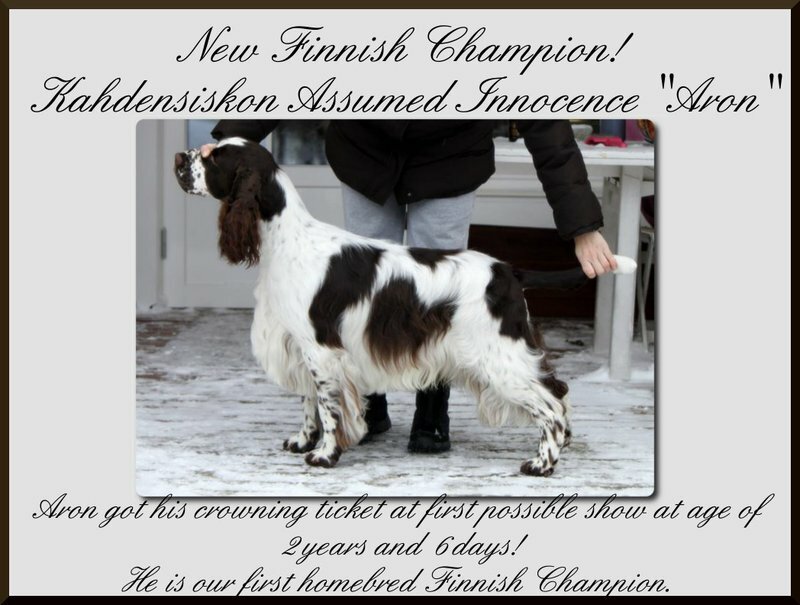 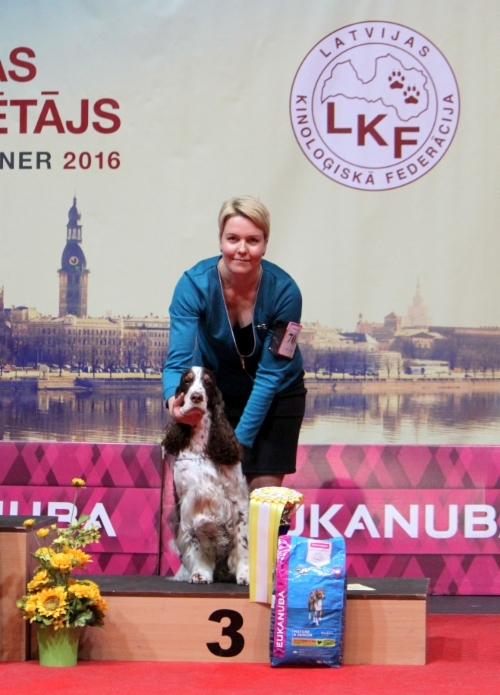 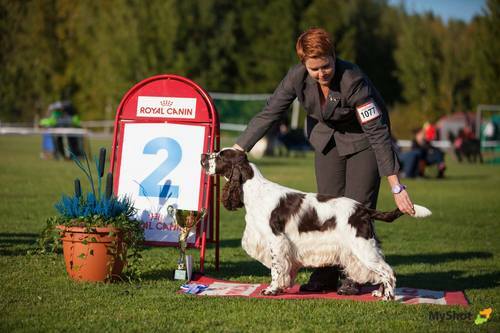 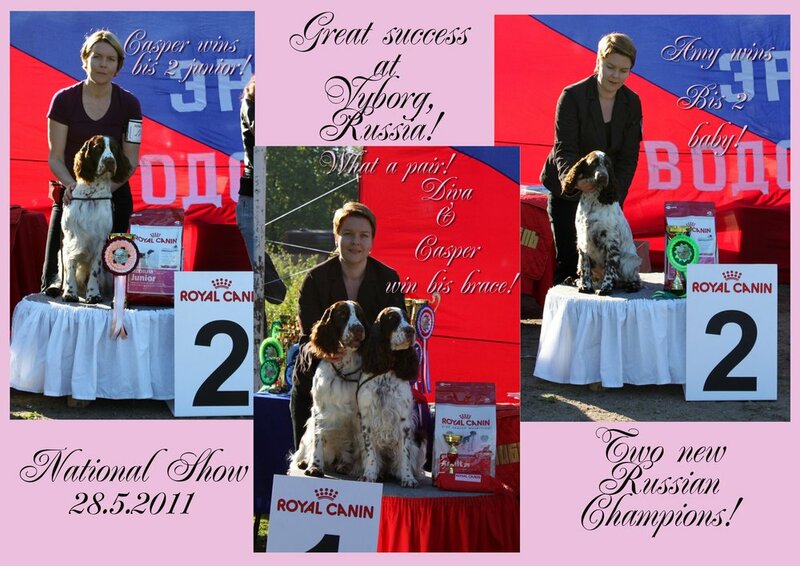 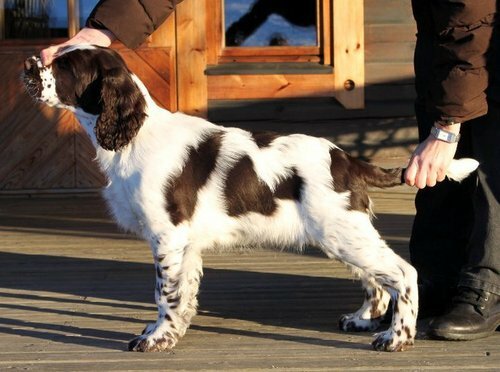 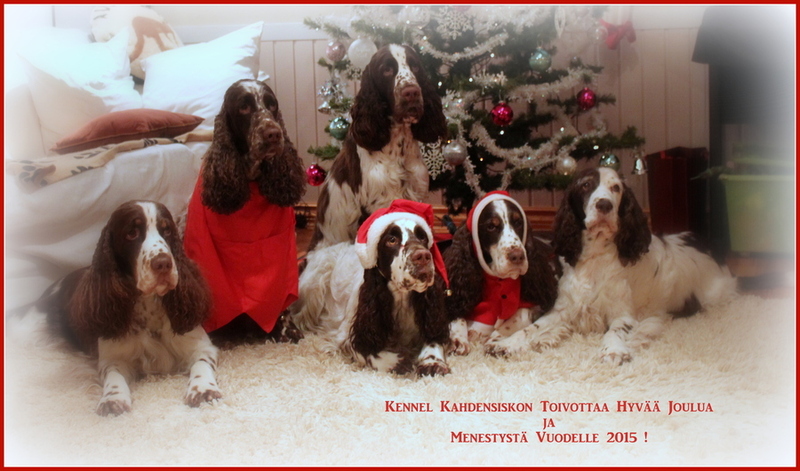 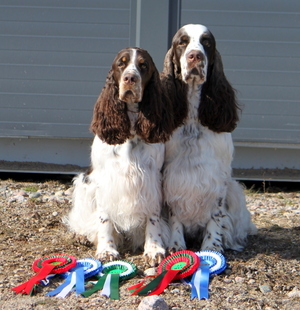 Two Finnish Winner titles to our breeding! 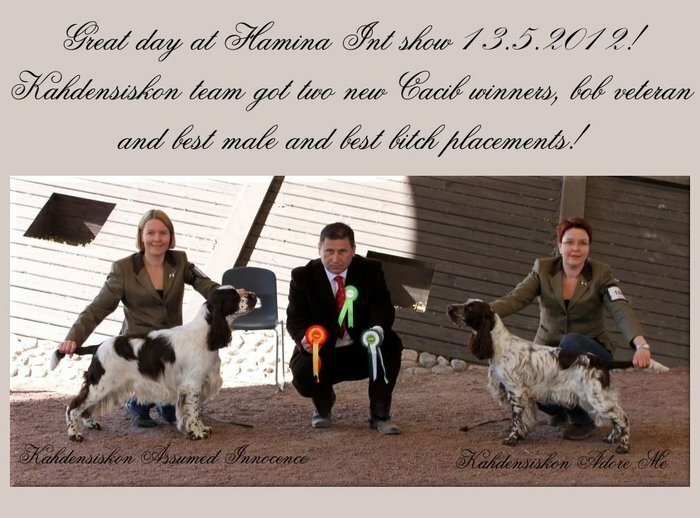 at Finnish Winner show 6.12. 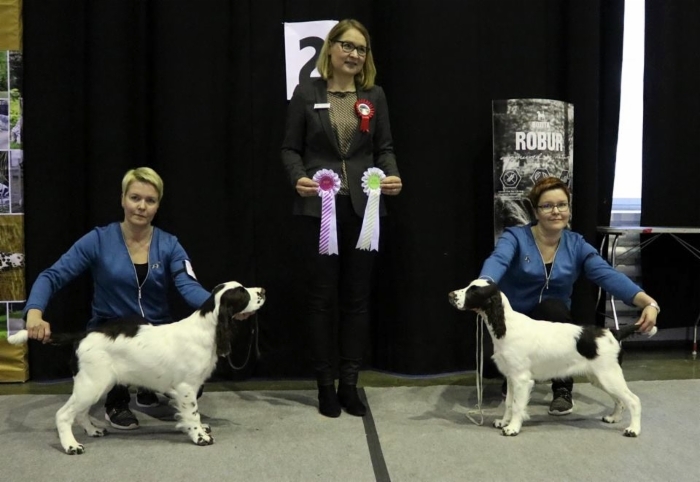 We have two new Finnish Champions! 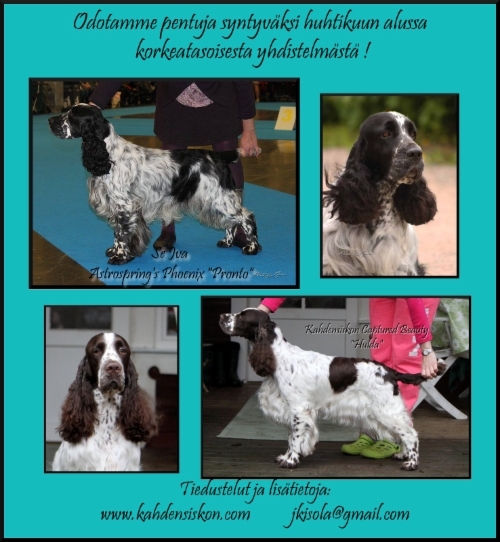 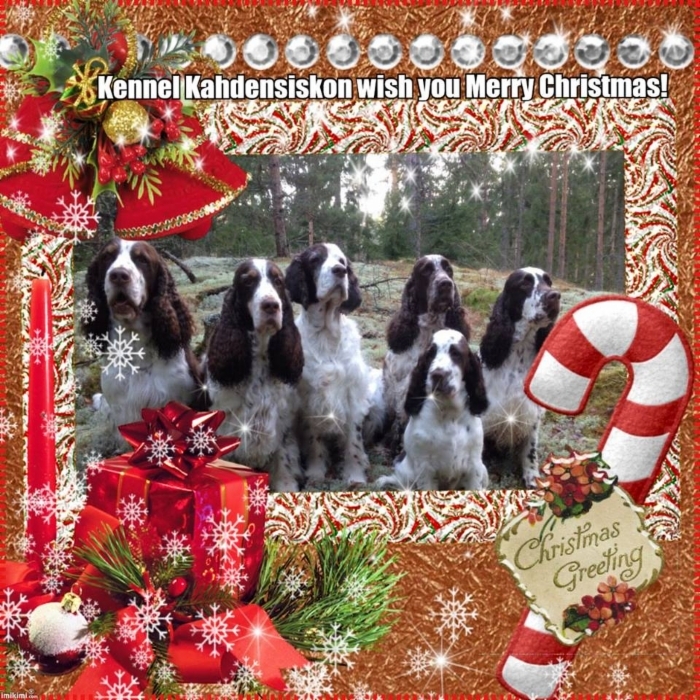 Kahdensiskon Carbon Copy "Koda" and Kahdensiskon Champagne Dreams "Elli"
Thank you for this lovely ad Sanna Kopola-Hirsimäki! 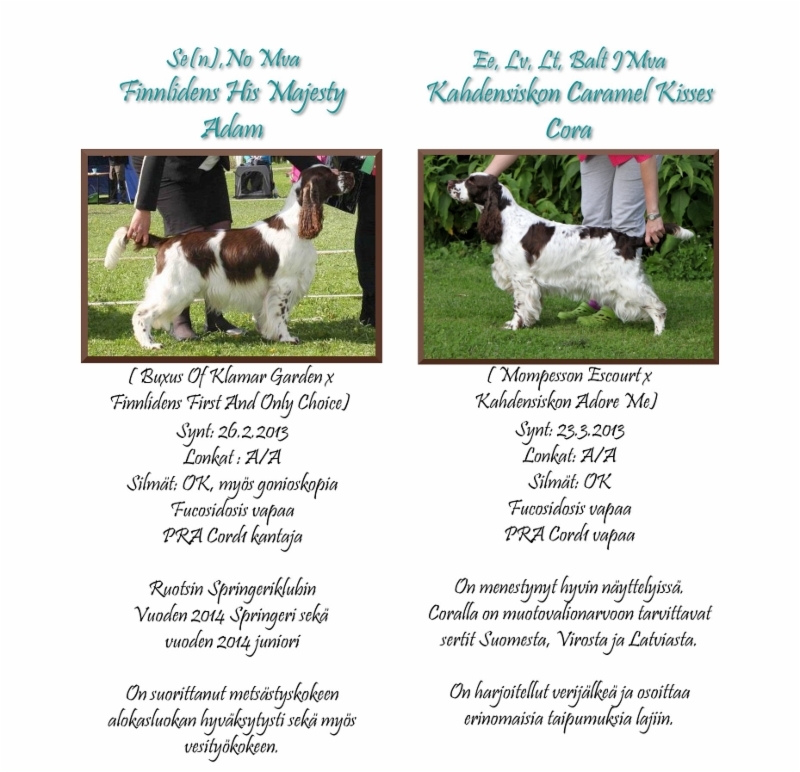 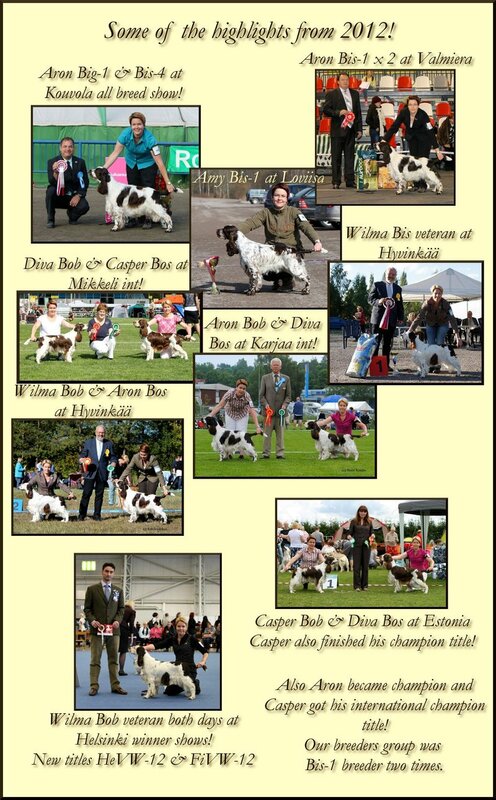 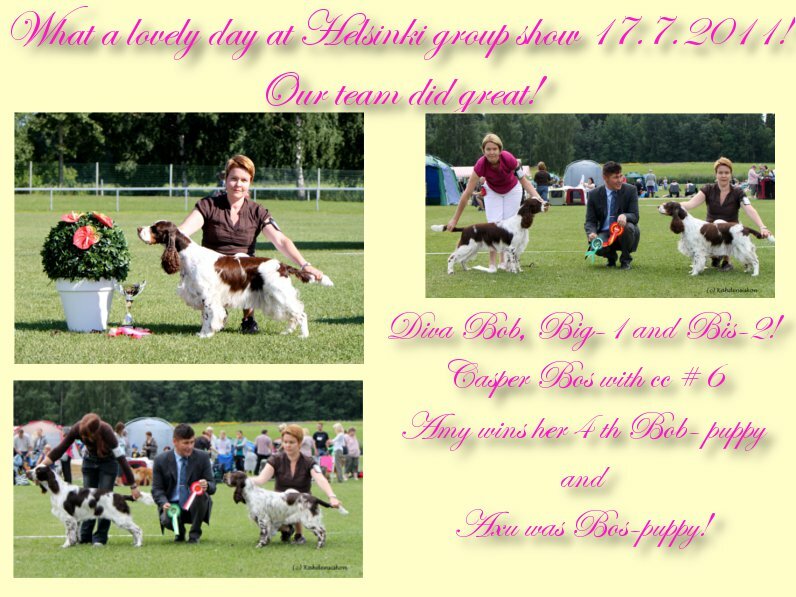 BIS BREEDERS GROUP AT SPANIEL CLUB´S SPECIALTY SHOW 1.6.2014 !! 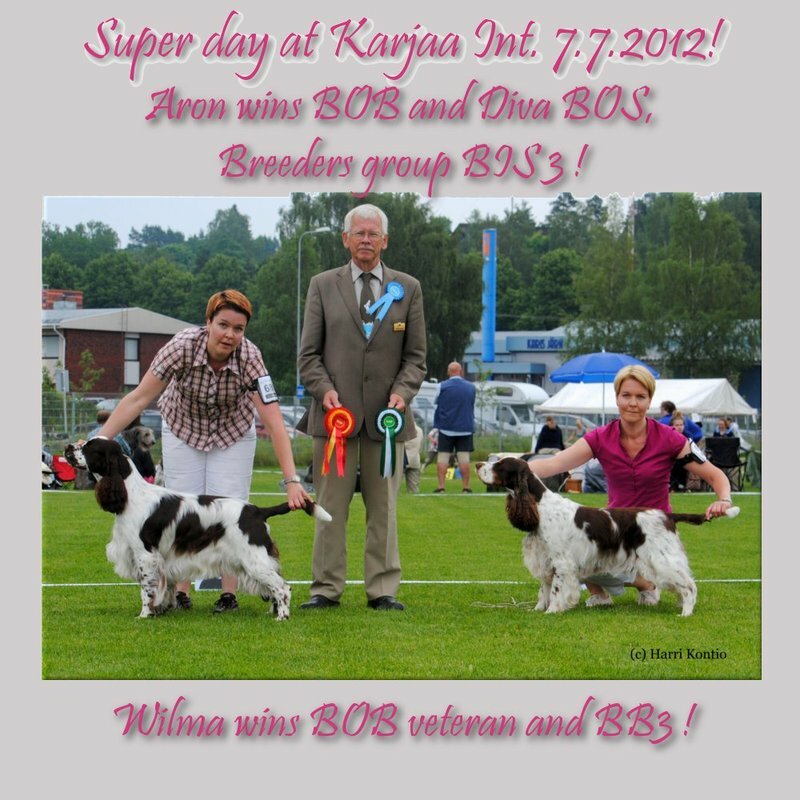 SUPER DAY AT PORVOO NATIONAL ALL BREED: BOB &BOS, BB2, BB3, CC & RES CC, BOB BREEDER, BIG 2 ! 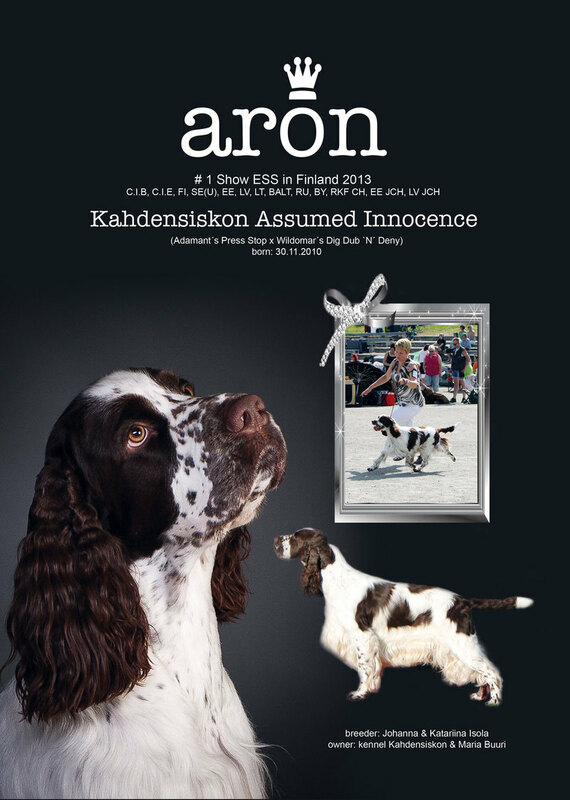 ARON BIS-4 AT IISALMI INTERNATIONAL SHOW 4.8.2013 !TOTAL NUMBER OF DOGS WAS ALMOST 2400! 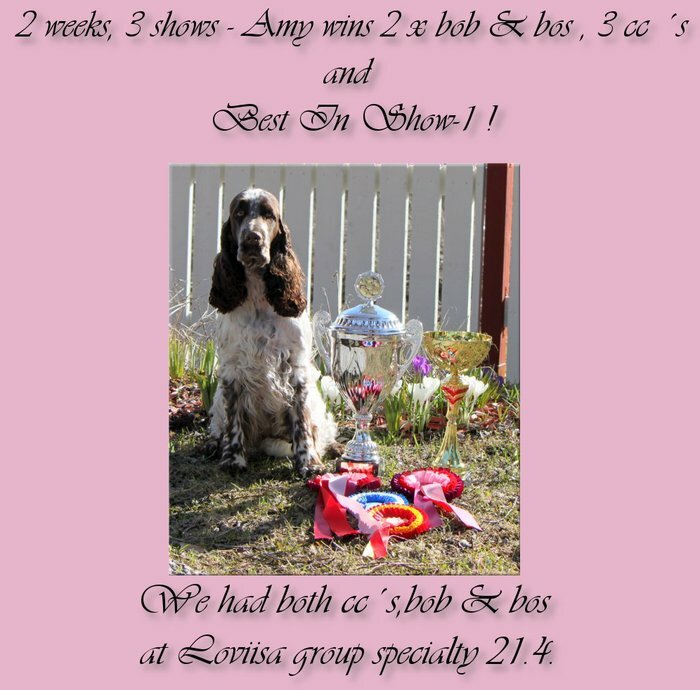 AMY & ARON WENT BOB AND BOS IN PÄRNU INT! 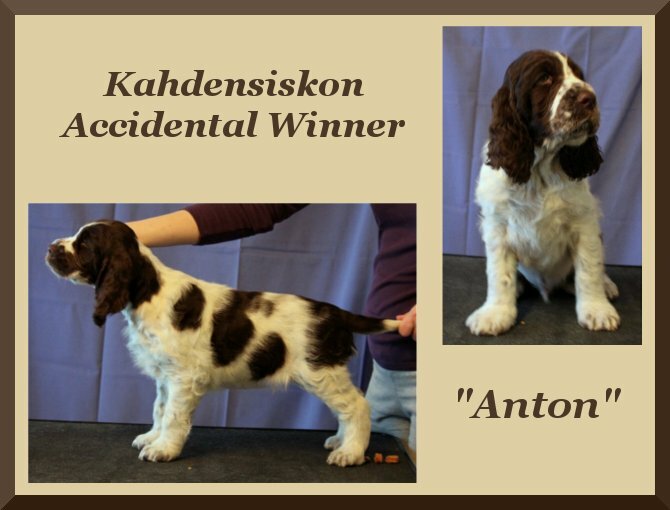 Aron was best male at Kotka Int. 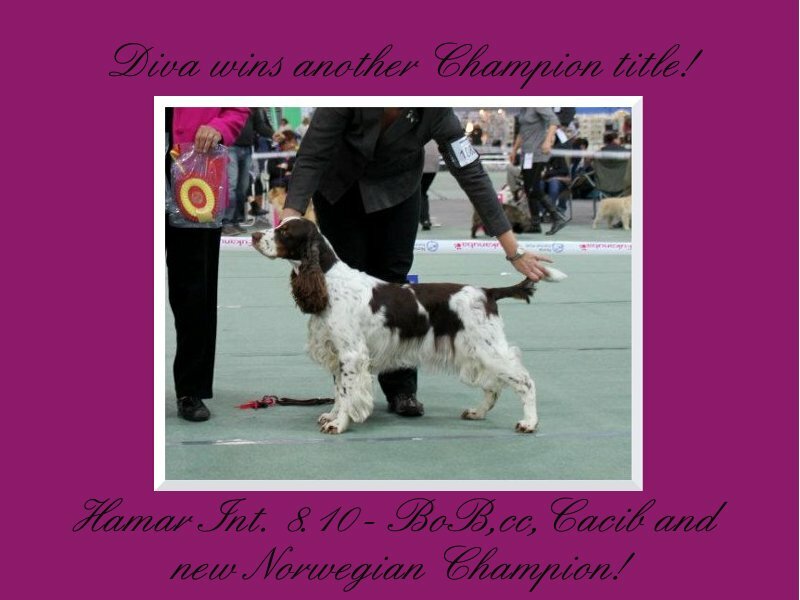 16.5 and won the last needed cacib for C.I.B & C.I.E titles! 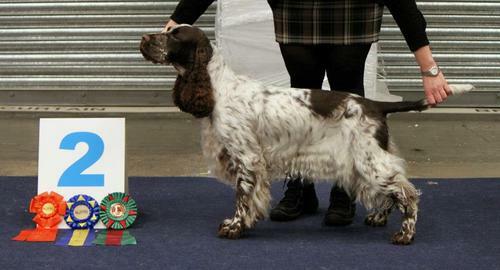 ARON BEST MALE 2 at SPRINGER CLUB´S MAIN SPECILATY SHOW FROM ALMOST 60 MALES! 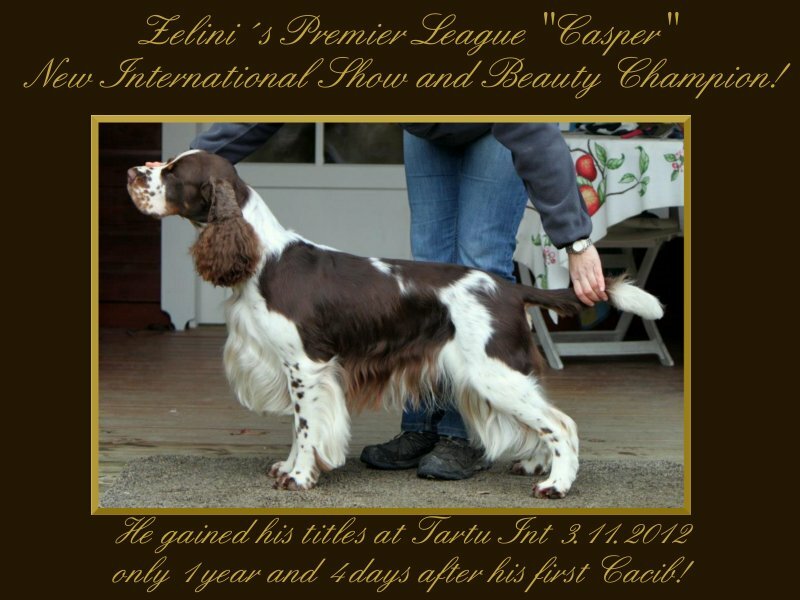 HE IS CURRENTLY #1 ON TOP SHOW ESS LIST! 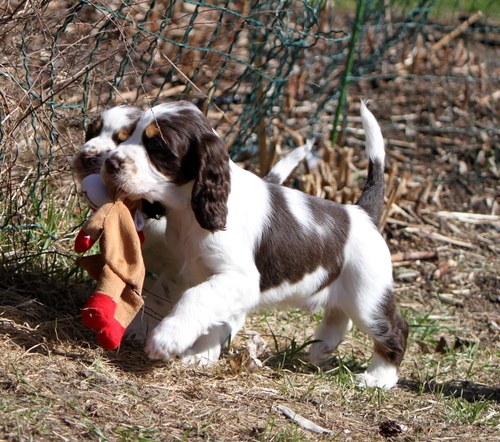 All the puppies have moved to their new homes! 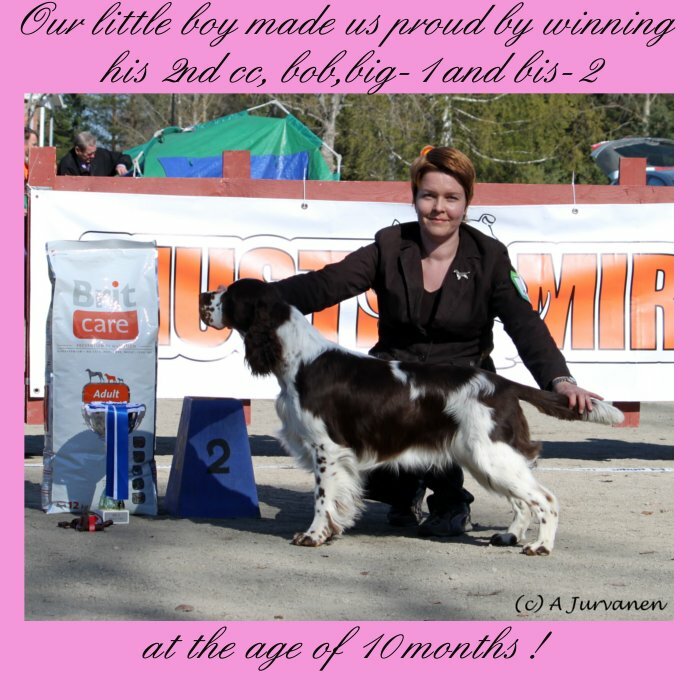 ARON WINS BOB # 7 AND ALSO BIG-1 AND BIS-4 AT KOUVOLA NATIONAL ALL BREED SHOW FROM OVER 2300 ENTRIES!! 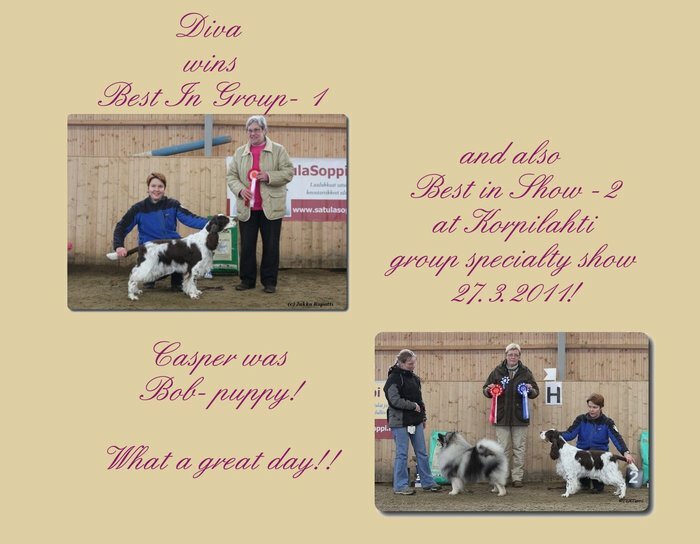 CASPER WINS 2 X BOB AND BIS-2 IN 4 DAYS! 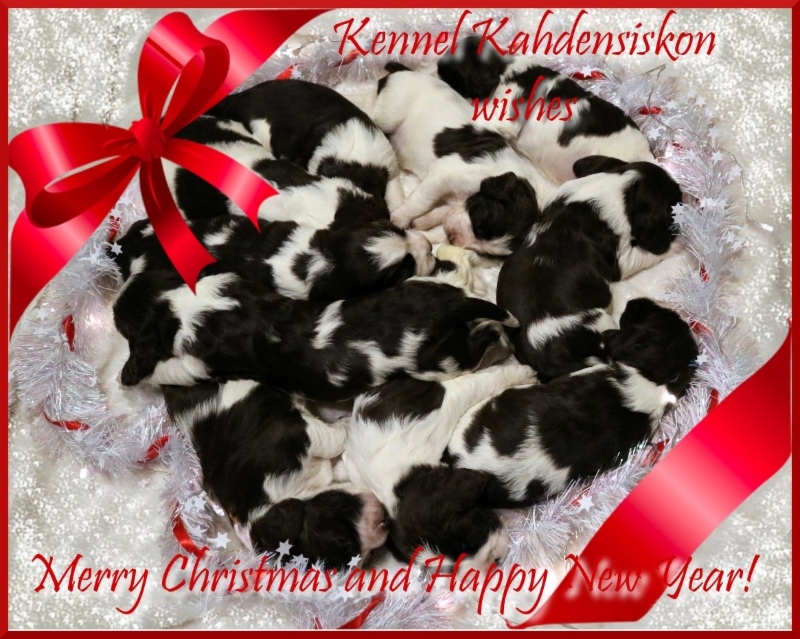 Two promising boys and girls are still available! 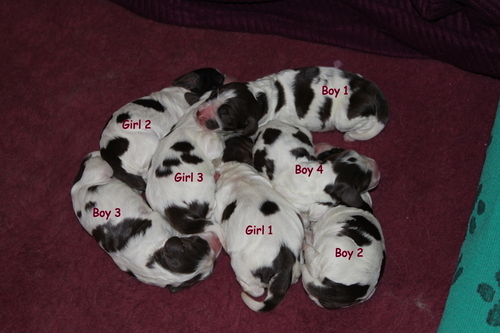 Diva gave birth to 4 handsome boys and 4 beautifull girls! 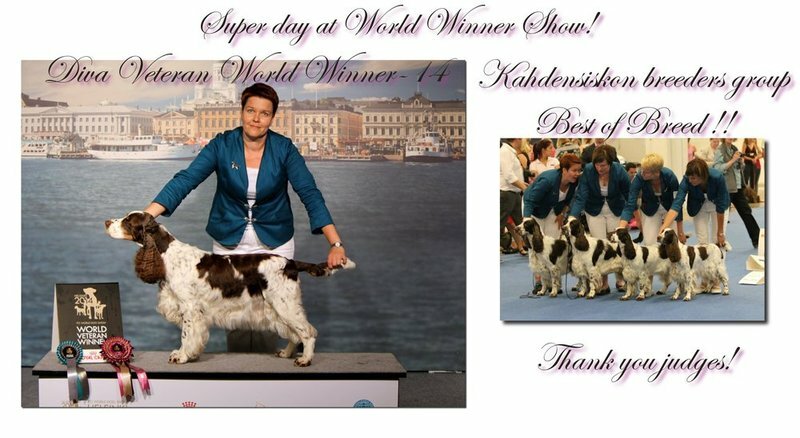 CASPER WINS BIG-3 AT HIS LAST PUPPYSHOW! 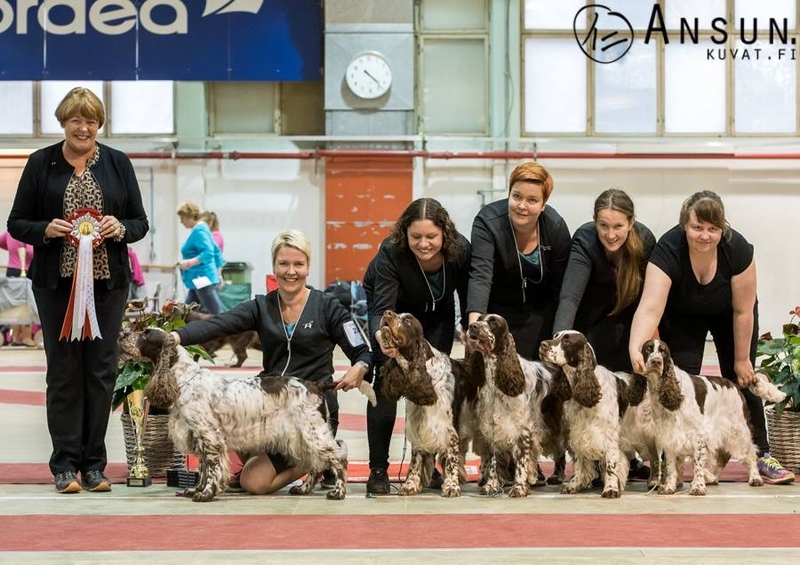 Aron etsii vielä omaa kotia! 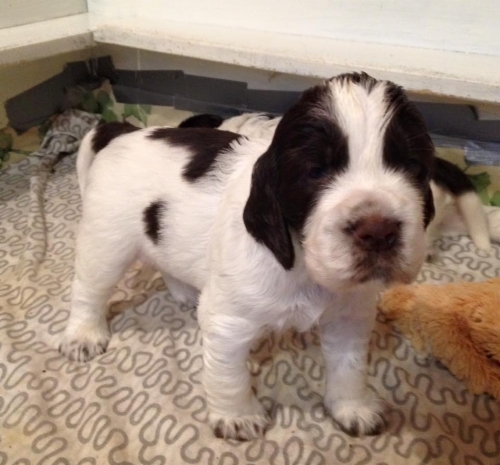 One male puppy still looking for home! 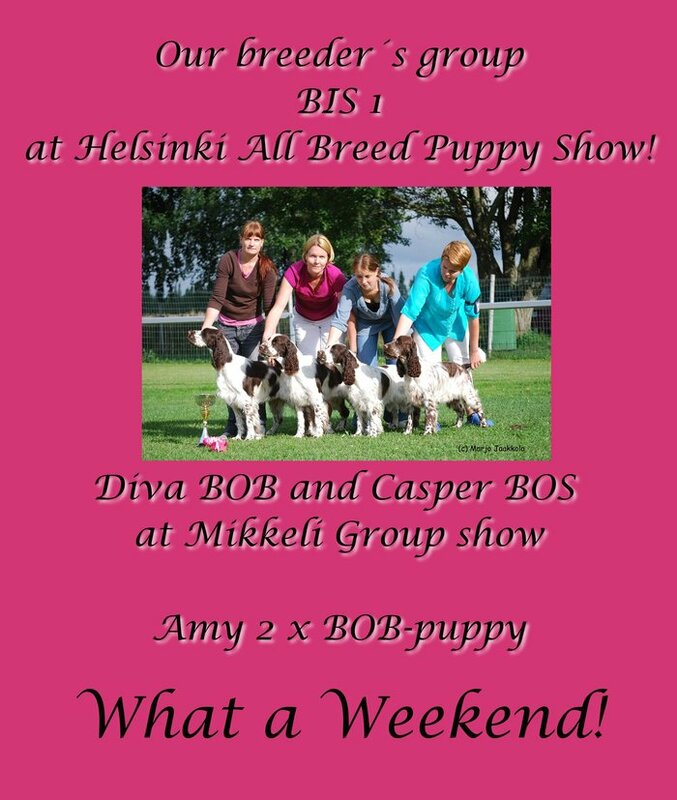 Pentuja vielä vapaana!/ Puppies still available! 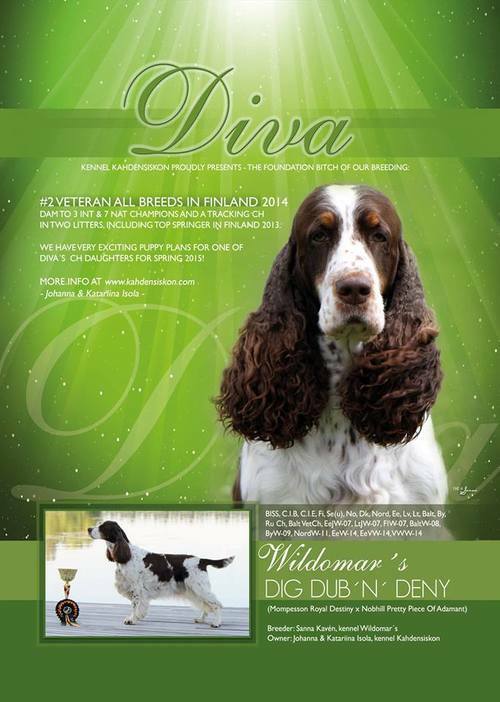 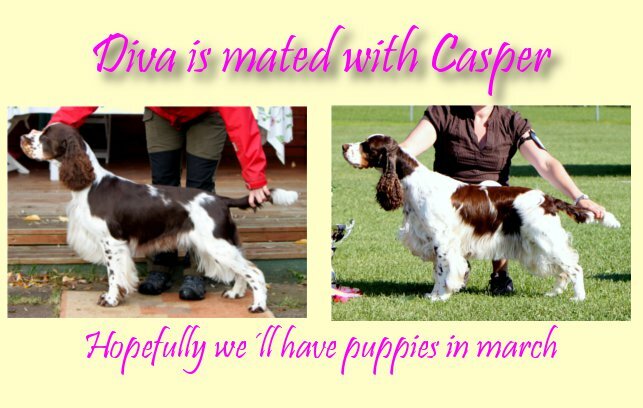 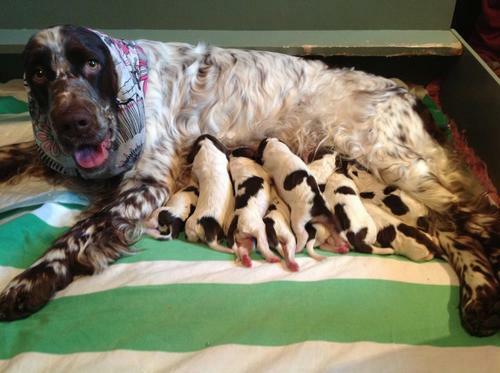 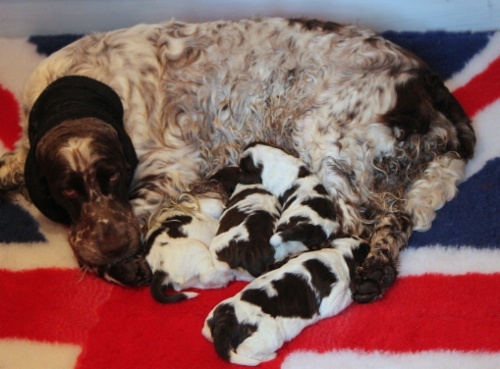 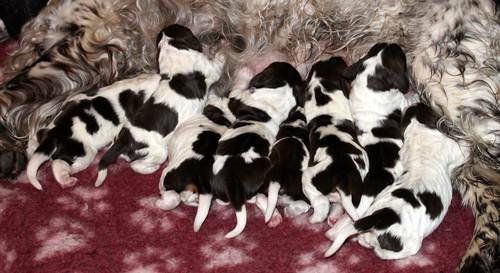 Diva gave birth to 4 handsome males and 3 lovely girls on 30.11.2010! 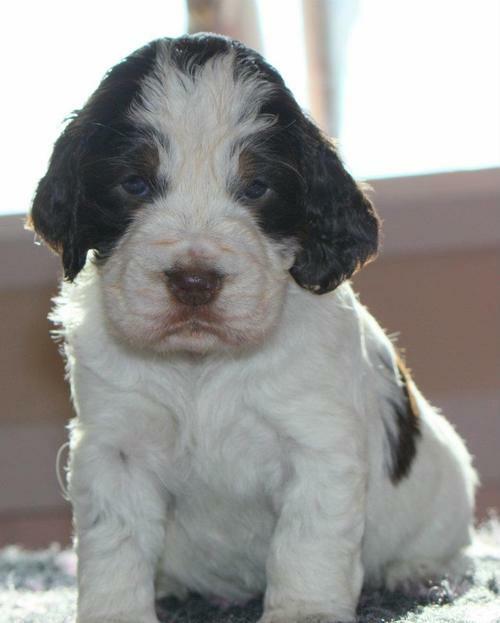 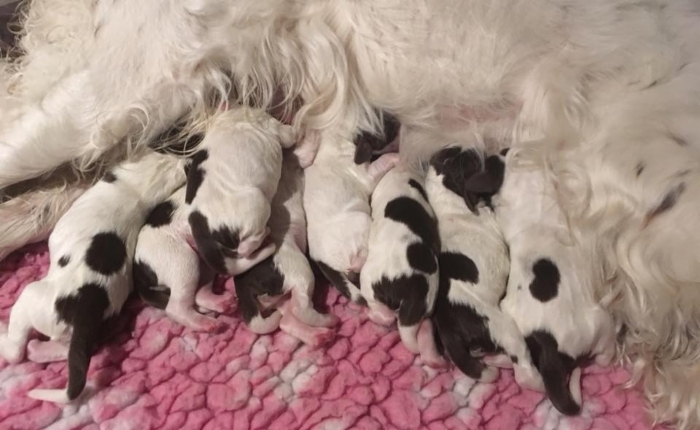 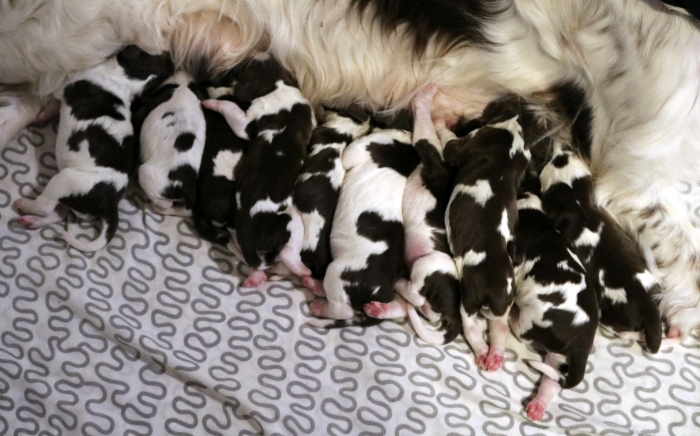 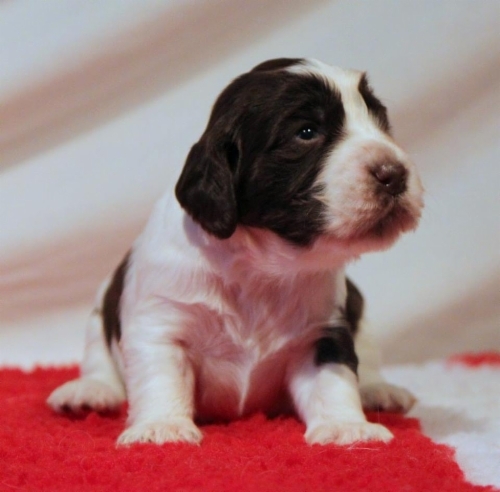 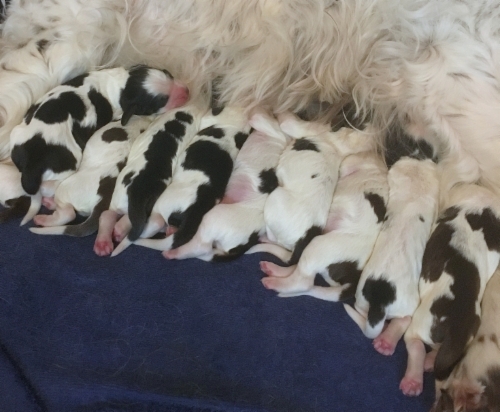 WE WILL HAVE PUPPIES ON WEEK 48!